Possibility to extent it to a year contract equivalent up to 12mil. bbl. If your buyer is interested he must have a refinery and respond fast by sending an Email confirming agreement to the abv offer. 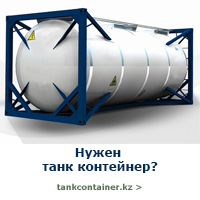 Commodity Russian Fuel Oil Mazut 100-75, GOST 10585/75/99. Specification As per Specifications attached here to. Duration For 12 months with roll over and extension. Price $/ per MT (Can specify the price), CIF Safety China Main Port! Inspection By SGS at the loading and CIQ at the discharge ports. Others Other terms and conditions to be mutually agreed. We ask to send to us SCO, for studying! P.S. We also buy diesel fuel D2, on the terms of FOB Rotterdam! Quantities from 50000 to 500000.I want to remind that we are direct buyers! The form of payment at us is only-DLC! We ask to inform your possibilities and to specify the prices. от вас БПЗ или заявку после получаете драфтконтракт со всей процедурои . У нас есть возможность покупать топливо происхождения ИРАН , FOB Rotterdam. По годовым контрактам у нас есть возможность купить м100 и керосин. Можем предложить топливо происхождения ИРАН , FOB Rotterdam. По годовым контрактам у нас есть возможность продать м100 и керосин.